Marriott announced David Flueck today as Senior Vice President, Loyalty. I spoke with David this afternoon about what comes next as they work towards a single loyalty program across Marriott, Starwood, and Ritz-Carlton. David shared that it’s a “tremendously exciting time for all travelers, [simultaneously with] consolidation and more choice and opportunity, and an exciting time at Marriott” as they work to bring together Starwood and Marriott. Flueck joined the Westin brand 13 years ago, and moved to Starwood Preferred Guest in 2006. He was Vice President of SPG during the time that the program introduced new elite benefits like Your24 check-in, the Ambassador program, and Suite Night Awards. Then he spent 3 years as Starwood’s Vice President of Revenue. With the Marriott merger close, and departure of Chris Holdren as Senior Vice President of SPG and Digital, Flueck was put in charge of the Starwood Preferred Guest program. Now he’s being placed in charge of loyalty across the Starwood, Marriott, and Ritz-Carlton programs. Thom Kozick, who has been in charge at Marriott Rewards for a couple of years, will report up to Flueck and according to the press release “will take on added responsibilities for cutting-edge strategic initiatives” which I’ll leave to the reader to interpret. There’s little question that since the deal for Marriott to acquire Starwood was made official, Marriott has been working hard to add benefits similar to what Starwood has offered – 4 p.m. Gold and Platinum checkout, experiential rewards similar to SPG Moments, and testing of an Ambassador program for instance. Marriott even renamed their experiential program ‘Moments’ and had over 3000 redemptions enjoyed by members last year. Thom Kozik and indeed Marriott CEO Arne Sorenson have talked about the importance of suite upgrades, which Marriott historically hasn’t promised to top tier elites. Having the act together technologically, and both helping members make effective use of their points while introducing them to the other brand and reassuring their points would indeed retain value, went a long way towards generating goodwill from customers. The timing of program integration is of utmost interest, and Marriott has said they weren’t going to integrate programs before the start of 2018 but they never explicitly said they’d do it at the start of 2018. The technology here is hard, as Flueck points out their “global scale, breadth of brands, benefits, integration into property management systems” are all complex and they need to not only design what the program looks like but build the technology to deliver it consistently at the property level. So they’re “not ready to pick firm dates” yet but they’ll give members “clear perspective on where we are in that process later this year,” although “early in 2018 is probably not going to be realistic target for us.” Don’t expect a new program January 1. There’s a long way to go – in particular finding a way for Marriott to offer real (suite) upgrades to elites, as well as breakfast at resorts (when you may care about it most) and at Courtyard properties (where a single bottle of water was the sum total of my elite recognition in the hotel during a stay earlier this month). I hope that we’ll hear about Lifetime Plat status soon. I’m most worried about losing that, along with SNAs when Marriott takes over. I’ve been pleased overall with my move to Marriott/SPG from Hyatt. I don’t really care about suite upgrades. If I get one, I get one. I do love the fact that I get the option to have breakfast at the restaurant or club lounge. That was something Hyatt didn’t offer, unless the lounge was closed. As far as only having one bottle of water in the room. Just go up to the lounge and get another bottle. It’s encouraging to hear the continued focus on the importance of recognizing Elites and maintaining the value of the program. That said, I’m still waiting to hear what will/will not be done with regards to Lifetime Status as I’m on the verge of hitting it for Gold with Starwood. Tony, Courtyards don’t have Club Lounges? Which I think was the point. No lounge, no breakfast (if I remember correctly regarding Courtyards), no benefits other than a single bottle of water. Pretty sad “reward” for someone who spent 75 nights getting to Platinum Status at Marriott. @Tony: There are no lounges in Courtyard Marriott properties, so you wouldn’t be able to go get another bottle of water. I get it — Courtyard Marriotts are not where Marriott is directing its loyalty improvement efforts, but that’s where my work puts me most of the time. A bit frustrating to be a Platinum and the extent of my welcome amenity is a small bottle of water and a fun size bag of Doritos (that was my last welcome “bag”). “…the importance of suite upgrades, which Marriott historically hasn’t promised to top tier elites. I agree with Tony. Hyatt was fun while it lasted. The entire globalist transition is insipid. Thanks for sharing. Any mention of when stay credit will be offered/honored across programs? I hate the fact that my SPG and Marriott stays can’t be pooled together to work towards elite status. @Jeff The Courtyards outside of the United States of club lounges. Two in particular, Courtyard Sha Tin and Courtyard HK have club lounges, on the 30th and 6th floor respectively. When I think of it, the Courtyard in Sha Tin is nicer than some Marriotts in the US. “The technology is hard”….undoubtedly true, but how hard can it be to tell members that stays at both Marriott and Starwood during 2017 can be combined to count for status in whatever new program emerges in 2018? I would have thought such a commitment is key and core….but has not been forthcoming. DCS continues to lie about suite upgrade T&Cs between Starwood, Marriott, and Hilton. Fact. They are different. In fact, go to the Hilton Diamond tab on the Hilton site and you won’t see the word “suite” listed anywhere. Another fact. Hey at least you will find the word “suite” on the Marriott Plat tab. Not as aggressively promised as SPG but it’s there. Yeah [censored], you know more than Gary…..
Marriott can’t even implement a 4:00 pm checkout for its hapless members; can’t wait to see the damage that they inflict on SPG members. So, it’s quite clear that there’s juuuuuust a bit of difference between the two programs w.r.t. the language. Encouraging that they seem to “get it” when it comes to how strong the promise of suite upgrades (including the successful SNA program) has been to SPG. While I’m sure the combined program won’t be as generous as SPG, hopefully it’s stronger than MR has been. Clearly not rational to call posts “unhinged” when they are factual. As an SPG Lifetime Platinum member who was/is concerned about elite status with the new combined program…it gives me some relief to see that someone from SPG will be heading the new combined program(s). Keeping fingers crossed. 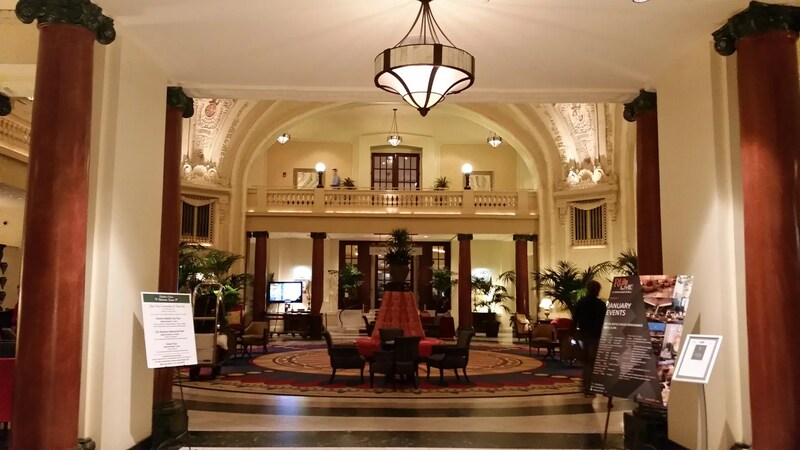 One other comment – wondering if they will keep Ritz Carleton Rewards as a separate entity? If so…then what about St. Regis/Luxury Collection ? Unlike you, I can ignore you, which your psychopathology won’t allow you to do about me. So, the only place I am going to see you from now on is up the wall. @ford I left that quote in for a reason. So DCS posts a link to his own external post, which doesn’t have a single comment. And has no actual zero evidence. And no actual links. I’ll stop the “hounding” when you start posting actual facts, vs. lies and opinions masquerading as facts. The notion of a SPG person running MR causes me worry. Even more expensive rewards (not that MR rewards are cheap). Poor earn on spend at hotels relative to MR currently. Worthless middle tier (SPG gold is a joke.). Maybe in the end we’ll have a MR credit card that is worth taking out of the sock drawer. OF course it’ll end up being the worst of both programs as every travel merger has been in the last dozen or so years.